DENVER – The Western Athletic Conference announced on Monday, Oct. 7, that senior middle hitter Desiree Scott was named WAC Volleyball Player of the Week for the week of Sept. 30-Oct. 6. This is her first Player of the Week honor during her career. Scott led the Aggies to a 3-0 record last week helping her team to remain as the only unbeaten team in WAC play. Scott posted 3.20 kills per set in 10 sets played while marking a WAC-best .538 hitting percentage. She also had 16.0 blocks per set and 0.50 digs per set on the defensive side of the net. The Tucson, Ariz. native opened the week with eight kills on 13 attempts with no errors for a .615 hitting percentage while adding four blocks, three digs and a service ace as NM State pulled off a sweep of Bakersfield on television. She then helped her team in a sweep over Idaho scoring 22 points, posting a season-high 16 kills and a season-high .727 hitting percentage. Scott also marked seven blocks on the afternoon. She finished the week with eight kills, five blocks and two digs in a four-set victory over Seattle U. In WAC matches, Scott currently leads the league with a .479 hitting percentage, 1.79 blocks per set and 4.25 points per set. In the career record books at NM State, Scott is currently No. 7 in total blocks (383), No. 7 in block assists (302) and No. 7 in solo blocks (81). Scott and the rest of the Aggie volleyball team travels for two league matches this week. NM State faces Chicago State, Thursday , Oct. 10 in Chicago, Ill. at 6:00 p.m. (MT). That match will be broadcast on the radio in Las Cruces on KGRT 103.9 FM. The second match of the week is against Kansas City, Saturday, Oct. 12 in Kansas City, Mo. at 6:00 p.m. (MT). That match is scheduled to air over the radio waves on KSNM AM 570. 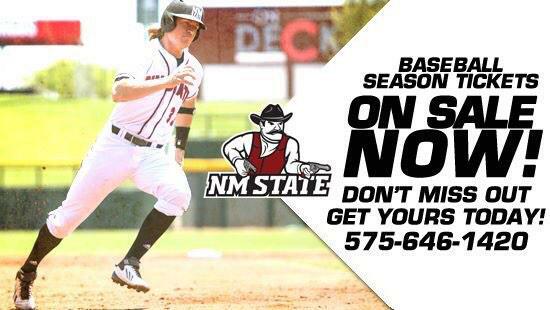 Both matches can also be heard from anywhere around the world online at www.NMStateSports.com.